Add storage and a functional workspace with this DIY workbench and framed pegboard. Customize your walk-in closet with this budget-friendly industrial makeover. Organize your mudroom with this simple board and batten hook wall. Freshen up your outdoor space with this boho chic deck makeover. 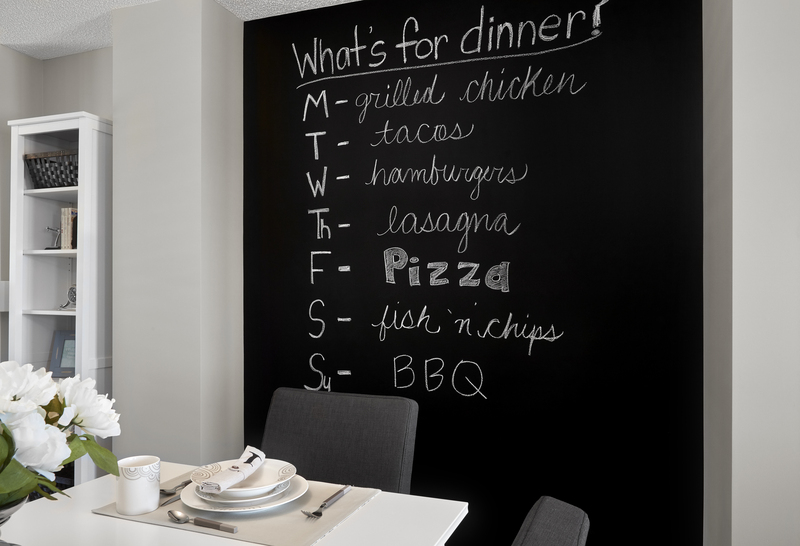 Add functional space with a simple painted chalk wall. Express your personality and sense of style with simple, affordable DIY ideas for your home. Be bold, modern, vintage, or glam – Be inspired to make your house a home. We’ve made sure these projects are easy, functional, and sure to impress – and we encourage you to visit the projects in person in our show homes to see them for yourself! 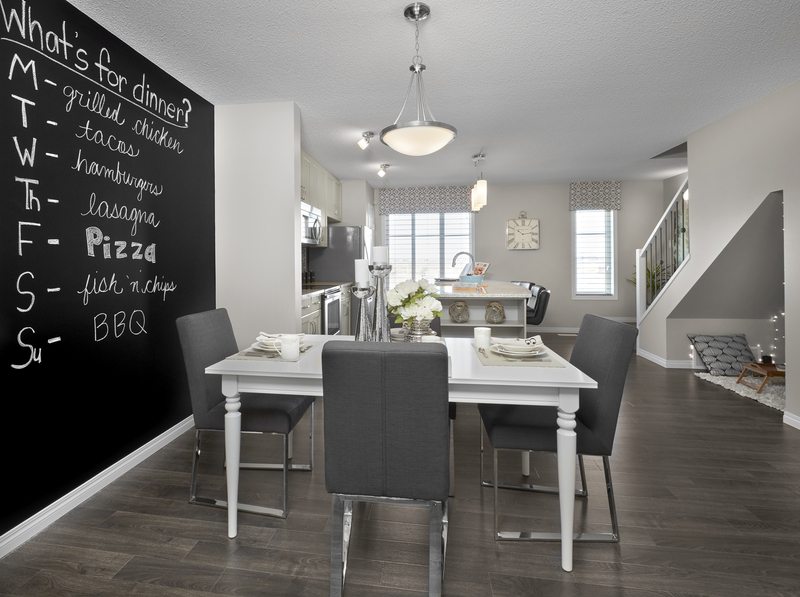 Add function to your space with a simple painted chalk feature wall! Found in the Michelangelo in our Vista Pointe Townhouses, this project was completed for under $30 and can be used in so many ways. Kids can draw and doodle on it while adults can use it to write down notes, schedules and dinner menus. You can even use it for entertaining (tic-tac-toe anyone?)! With a simple can of paint you can turn a plain wall into a fun, functional surface. Find a #BrookfieldDIY show home! 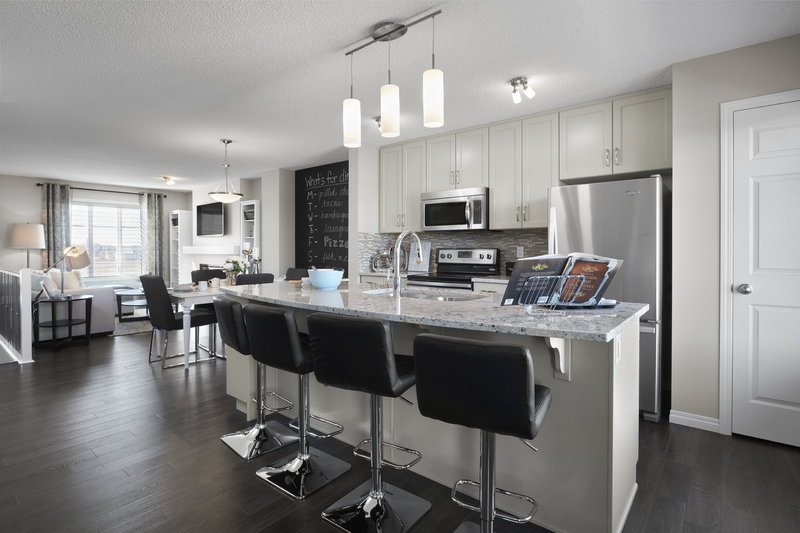 6 of our show homes in Edmonton feature simple and cost-effect DIY projects you can easily make yourself. Get some #inspo for your next home project, and enter to win our #BrookfieldDIY Giveaway while you’re there!